From the moment Jude Law first signed on for the film, Marvel fans have jumped to the conclusion that the soon-to-be Hogwarts Headmaster was set to play the great and powerful Mar-Vell opposite Brie Larson’s Captain Marvel. However, as we’ve learned more and more about the upcoming release over the months, it’s become pretty clear that he may actually be tackling another role entirely. The most popular theory is that Law’s playing Yon-Rogg, a Kree military commander who keeps an eye on events on Earth. He ultimately becomes one of Captain Marvel’s (the Danvers version) most dangerous foes though, not to mention he’s also indirectly responsible for her gaining those incredible cosmic powers. To date, the studio’s kept quiet on the specifics of Law’s involvement in Captain Marvel, but now we have some confirmation on who he’s playing, and it seems that the actor is indeed set to bring Yon-Rogg to life. We know this as the various Funko Pops! for the film have leaked on Reddit and as you can see in the gallery down below, they reveal the aforementioned character. 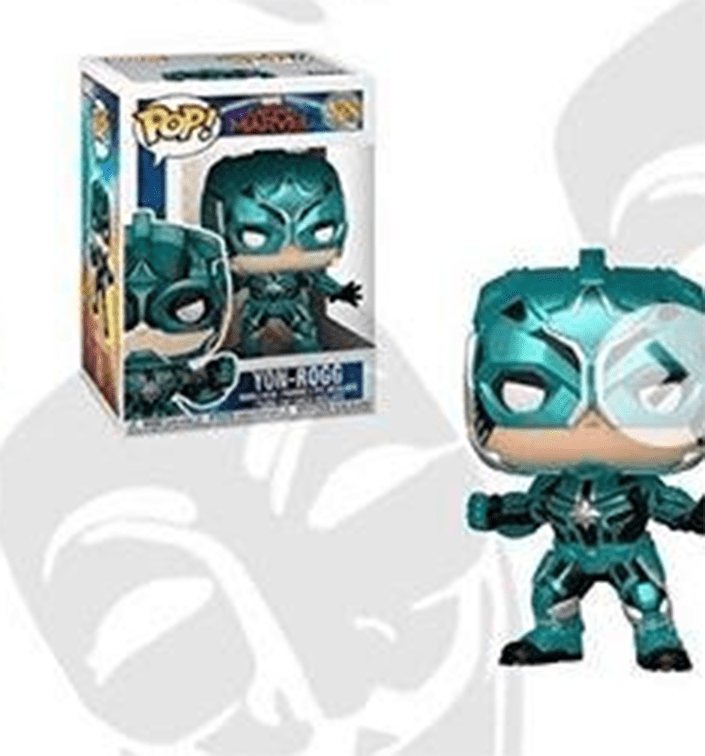 If this is true, and Jude Law is really playing Yon-Rogg (which it looks like he is), then how exactly does Mar-Vell fit into the movie? Maybe Carol Danvers, realizing her name doesn’t sound particularly space-y, decides to take Mar-Vell as her Kree name? That’d explain why she’s got the on-paper slightly silly name of Captain Marvel, but who knows? Clearly, there are a lot of pieces in this puzzle here, and we’ll only get the full picture when Captain Marvel hits cinemas on March 8th, 2019. Until then, though, feel free to start speculating down in the comments section below.